Alaska is a wonderful destination for family travel. The state's wild beauty, abundant wildlife, and vast opportunities for hiking and exploration lure droves of family vacationers. Alaska family travel adventures can take place on large or small ships, via a combination of cruise and rail tours, by car, or with a family friendly tour operator offering special family-oriented departures. Choosing the best option to see this magnificent state will depend on your family's specific vacation needs and interests. Large cruise ships, such as those operated by Royal Caribbean, Princess Cruises, Holland America, Norwegian Cruise Line and Carnival, have a wide variety of Alaska travel itineraries, visiting major Alaskan cities and towns each week. All of these cruise lines are good choices for families, offering a wide range of family oriented activities, daily kids and teen programs, and an extensive list of shore excursions. A good travel agent or online research can help you determine which one is right for you. When choosing an Alaska family vacation on one of the major cruise lines, pay close attention to the itinerary, shipboard amenities, children's program details, and the variety of shore excursions and cruise extensions offered. All of these vary from ship to ship - in some cases - and from cruise line to cruise line. Ships with all-weather facilities, such as pools with retractable roofs, are particularly good choices for Alaska family cruises as the weather can be variable. If you're cruising with teens, this article on The Family Travel Network will provide some helpful tips on planning and preparing for your cruise vacation. In a Family Travel Network reader survey, Royal Caribbean was chosen as the reader favorite for cruise line children's programs, especially for families with teenagers. Carnival has excellent kids programs for children as young as two and is a good choice for families with little ones. Both Royal Caribbean and Carnival offer special family programs and activities on their ships. Norwegian Cruise Line (NCL) gets very high marks from families and independent travelers for their freestyle cruising program, allowing guests to eat when and where they would like. The cruise line's more casual approach to cruise vacations is also appealing. Princess and Holland America are well known for their extensive Alaska itineraries and cruise-rail options. Holland America is a particularly good choice for multigenerational groups, and their Club HAL program and new teen venues are a big hit with families. Princess also offers special Glacier Bay activities for children and teens. Their Junior Ranger and Teen Explorer program was developed in a joint effort between Princess and the National Parks Service, and is designed to encourage young cruisers to explore Glacier Bay's natural and cultural history through fun interactive projects. Children ages 3-12 and teens ages 13-17 can participate in special programs customized for their age group. Kids who participate in a certain number of events and activities can earn Junior Ranger status and receive an official badge and certificate. In addition to carefully researching your cruise line, choose your cabin wisely and consider splurging for a balcony cabin. The scenery is breathtaking, and there's nothing like sitting on your verandah enjoying your own private show. In addition, a balcony can be a wonderful haven when the kids are taking naps. Many ships provide offer hot cocoa out on deck and provide cozy blankets for sitting on deck chairs, however, so those with inside or oceanview cabins won't miss the show. Some of the cruise lines' ships offer a wide variety of family stateroom options as well as connecting cabins for families. Some parents with teenagers prefer booking an outside or balcony cabin for themselves and an inside cabin across the hall for the kids. Shore excursions can easily be the highlight of family cruise travel to Alaska. There are a number of unique and exciting experiences offered in the various ports, including helicopter rides to glaciers, float plane excursions, fishing trips, river rafting, train and boat excursions, panning for gold, and dogsledding. Group shore excursions in Alaska can also be a very expensive option for larger families, however, and many shore trips tend to be best suited for grade schoolers and teens. Carefully research your options beforehand, and be sure to consider car rentals for budget-oriented family shore excursions (especially in Skagway and Ketchikan) and independent shore excursion activities while in Alaskan ports of call. These two options often work well for families with younger children, as they offer much more flexibility. If you're planning to take independent shore excursions, Great Alaskan TourSaver's 2-for-1 coupons could save you money. Both Norwegian Cruise Line and Holland America offer customized private tours, which can be a good option for families and multigenerational groups. If you're traveling with a baby, consider bringing along a baby backpack so that you can get around more easily with your little one. In addition to family vacations on cruise ship mega-liners, there are several more personalized ways to explore Alaska this summer. Cruise West, the largest operator of small ships in Alaska, provides an exceptional vacation experience for families. Established in 1973 by Alaska travel industry pioneer Chuck West, this family-owned firm treats each and every guest like members of their extended family. Cruise West's personal approach to cruising has won the loyalty and accolades of many repeat customers. In fact, on my recent Cruise West trip, well over half of the passengers had been on one or more Cruise West sailings - most often in Alaska. Cruise West's 143- to 295-foot ships carry just 78-138 passengers, allowing guests to get to know each other quickly. These small ship cruises appeal to families because of their opportunities for up-close wildlife viewing, the casual atmosphere, the educational experience onboard, and the attentive personalized service from the line's friendly crew. These vacations tend to work well for families with children ages 10 and older. The small size of Cruise West's ships allows them to venture in closer than the larger cruise ships and enables passengers to visit interesting areas of Alaska's Inside Passage, Glacier Bay, and other locales. Past guests rave about their cruise experiences, such as getting up close to glaciers and whales, interacting with locals in tiny villages, viewing the spectacular scenery, and learning about the native Alaskan culture. Cruise West's Alaska itineraries offer a wide variety of educational opportunities for the whole family to share. The most popular itineraries for families are the Glacier Wonderland voyage and the Glacier Bay Highlights cruise focusing on Alaska’s Inside Passage and Glacier Bay National Park. These shorter getaways (5 days/4 nights or 4 days/3 nights) work particularly well for families who have separate plans to tour Alaska on their own by car or train. The longer Alaska's Inside Passage itinerary is also popular and provides families with many opportunities to get off the ship as well as a wide variety of experiences. Cruise West does not offer designated family cruise dates since all of its ships are able to easily accommodate families on Alaska voyages. Another company, American Safari Cruises, offers an even smaller ship experience in Alaska. American Safari takes families on intimate tours of Alaska aboard elegant yachts. These small yachts, the Safari Explorer and the Safari Spirit, carry a maximum of 12 to 36 guests. The beauty of seeing Alaska in this fashion is that the yachts' small size allows for unparalleled access to Alaska's wonders. The kids will get so close to waterfalls that they can feel the spray, and the glaciers appear to be just within reach. The itinerary is flexible enough that the captain can change course for whale sightings, or linger in a tidal inlet if bears appear to forage on the beach. If guests decide they want to spend more time kayaking or hiking, so be it. Even though the course is set, no two cruises are exactly the same. After all, it's your trip. As part of American Safari's Kid in Nature (KIN) Family Programs, the yacht's onboard Expedition Leader is a combination of naturalist, teacher, and activities leader -- delighting adults and children alike with a host of facts and planned events. The yacht is both elegant and intimate in a homey way, and families feel uniquely comfortable in this setting. Kids set out on adventures aboard the yacht's inflatable launch, hike into the wilds, and delight in coming so close to nature. A variety of discounts are available for children and special charter rates are offered. On these all-inclusive Alaska yacht cruises, family members will enjoy kayaking in wilderness coves and bays, exploring untouched spots - such as Misty Fjords National Monument or the Tracy Arm Wilderness Area, coming face to face with glaciers and icebergs, hiking on a remote trails in the rain forest, and hopping shore-to-shore by zodiac. In addition, there are plenty of opportunities for up-close viewing of humpback whales directly off the bow or dolphins right below, watching for bears and seals, riding mountain bikes, and more. With a high ratio of crew members to guests, kids and adults alike are accompanied on a variety of personal-choice excursions while the yacht is at anchor. At the end of a week of up-close adventures, the American Safari crew presents each family with a photo disc of several hundred images to share and reminisce about for years to come. Thompson Family Adventures offers an 8-day Inside Passage cruise aboard the 12-passenger Sea Wolf. On this more customized trip, the company takes care to try to match passengers with kids of similar ages. On Thompson's 8 day/7 night inside passage cruise, families will take the road less traveled and spend time in a beautiful, remote corner of the world where few people get to go. As the small ship visits Point Adoulphus, Glacier Bay, Reid Inlet and other spots, families can go kayaking in the same waters that humpback and orca whales call home, fish for halibut, watch brown bears ambling along the shoreline, and see porpoises and otters playing nearby. On shore hikes with naturalist guides take families off the beaten path to explore uncharted forests and rocky shores. This is a good choice for families who are seeking a more customized, intimate adventure. Lindblad Expeditions is another smaller ship operator providing cruises in Alaska. Lindblad's family clientele has grown substantially over the last four years. Lindblad Expeditions' cruises and travel packages are developed in collaboration with National Geographic, and this partnership extends through to the company's approach to families. Lindblad's family travel experts work in conjunction with National Geographic's education department and National Geographic Kids magazine to train all expedition leaders and staff members in interacting with children and delivering family programs. Special children's and teen's activities are also offered on Alaska cruises. Older children can receive instruction on how to drive the zodiac launch and earn a zodiac driver's certificate. Younger children enjoy the Little Lin activity books developed by Stan Goldberg, creator of the "Archie" comic book series. In the Alaska version of the comic book, Little Lin encounters glaciers, humpback whales and bald eagles. Not all family explorations of Alaska's beauty take place onboard a ship. On family oriented adventure tours, guests are able to explore the less traveled areas of Alaska with highly knowledgeable guides and glimpse a side of Alaska rarely seen by the masses. These small group tours offer their guests close encounters with wildlife, classic Alaska experiences, and a wide variety of daily activities. One of the most well respected family friendly companies, Austin-Lehman Adventures, offers families an excellent opportunity to intimately experience Alaska's wild terrain via train, boat, sea kayak, mountain bike and foot. Austin-Lehman Adventures has been chosen as one of National Geographic Adventure's "Best Adventure Travel Companies on Earth" for the second year in a row. On the company's Kenai Peninsula Alaska Family: Glaciers & Wildlife tour, families explore wildlife-rich Resurrection Bay, hike among glaciers and ice fields, and take waterside hikes and bike rides for a glimpse of eagles. On this family trip, participants stay in the beautiful Alyeska Prince Resort, enjoy panoramic views of the Resurrection River Valley from their accommodations at Windsong Lodge, and spend the night in cozy cabins on Fox Island - a completely private setting accessible only by boat. Austin-Lehman adventure tours strive to help families experience and discover the real Alaska. The company's trips are well known for their high quality food, accommodations, and services designed exclusively for families. Austin-Lehman only takes a maximum of 18 participants with 3 guides and two vans on their trips. That gives families a high degree of personal attention with less "down time" waiting for everyone to gather together for meals and activities. Families who value independence love the flexibility and personalized service that Austin-Lehman vacations offer. The guides are there to make it happen and to deliver a peak vacation experience for each family member. Austin-Lehman vacations are not "tours" filled with pre-planned, programmed events. Instead, Austin-Lehman provides options and family members choose what they want to do and how far they want to go. This year, the Alaska Family: Glaciers & Wildlife trip departures take place during June, July and August. Children who share a room with one or more adults receive reduced rates. For families with children ages 16 and older, Austin-Lehman offers several teen and adult-oriented multi-sport trips that include bike rides, hikes, kayaking and other activities. The Best of the Greatland trip focuses on Alaska's beautiful Kenai Peninsula, while the Southeast Alaska - Glaciers, Whales & Wilderness Adventure allows guests to explore Alaska from Juneau to Glacier Bay. Alaska Wildland Adventures (AWA) has a wide variety of all-inclusive Alaska tours and offers the Alaska Family Camp designed for families with children ages 6-12. It provides a good opportunity to join others with children of similar ages for a one-of-a-kind adventure. Alaska Wildland Adventures' Kenai Riverside Lodge serves as the home base for this trip. During the six-day Alaska Family Camp adventure, families raft the Kenai River, hike the trails of the Chugach National Forest, embark on a full day charter cruise of Kenai Fjords National Park, learn about Alaska's native cultures, join in making uniquely Alaskan arts and crafts, and participate in a daily featured sports program. The itinerary also offers parents some down time to enjoy as they please, while the kids participate in the daily "kids only" activities supervised by the seasoned staff. There is only one departure offered for this itinerary this year. If there are avid anglers and wildlife enthusiasts in your family, Great Alaska Adventure Lodge has just the ticket for your family's next adventure. This legendary adventure lodge has been providing extraordinary fishing and wildlife experiences in Alaska for twenty years. Guests can fish for a spectacular variety of fish including salmon, trout, and giant Pacific halibut. The Lodge's nature safaris allow families to photograph and view magnificent grizzly bears at their remote bear viewing camp on the edge of Lake Clark National Park. The Lodge's Family Adventure provides families of four or more with an exclusive tour departure that includes guided hiking, wildlife cruising, sport fishing, rafting, bear viewing, kayaking, riding behind the Husky dogs of an Iditarod Champion team, and a visit to Homer and the "End of the Road." Activities can be tailored to meet the specific interests of family members on these trips. If your family wants to plan an independent trip into Alaska's interior, take a look at the many options offered by Gray Line Alaska. Gray Line Alaska offers travel vacations, tours and sightseeing to meet a wide variety of family interests. For families whose cruises end in Anchorage, Gray Line offers a myriad of day trips ranging from glacier trips to flightseeing tours as well as multi-day tours to Denali. The company is operated by Holland America Line, so they understand the link between cruises and land tours well. Gray Line of Alaska's combination of multi-day tours and shorter excursions allows families to customize a unique Alaska experience perfectly suited to their interests. You can choose from highway, inside passage, interior or escorted tours, some of which include boat excursions and trips to Denali via glass-domed railcar. For families who prefer the freedom of independent travel, Gray Line's Alaska by Car with McKinley Explorer tour may be the perfect= Alaska vacation package. This 8-day, 7-night trip combines a rental car and hotel accommodations with tours and luxury rail travel to Denali. As part of your travels, your family will enjoy up-close views of Portage Glacier, jaw-dropping scenery, incredible bird and sea mammal viewing in Kenai Fjords National Park, panning for gold, numerous opportunities to see Mt. 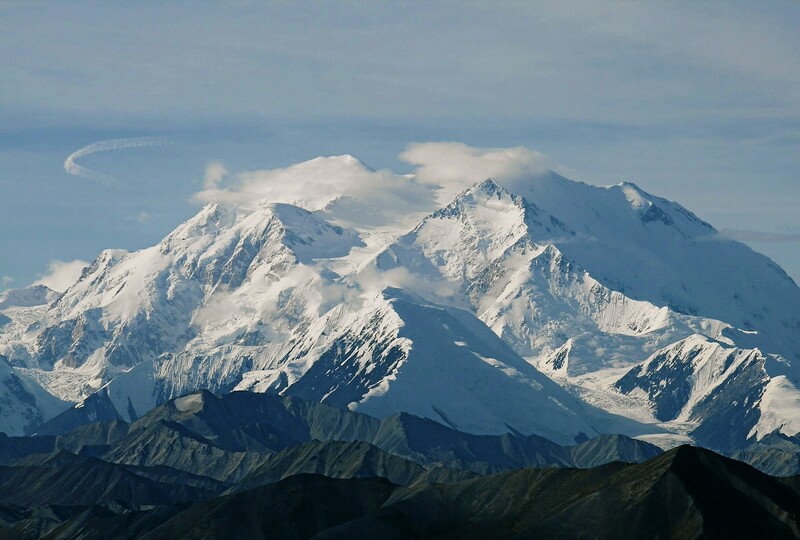 McKinley, and the thrill of wildlife viewing in Denali National Park. A wide variety of add-on tours including river rafting, dogsledding, bear viewing expeditions, salmon fishing, and flightseeing, are also available. This article on The Family Travel Network provides more details about this trip. For maximum flexibility, rent a car and design your own customized tour of Alaska. Alaska's roads are easy to navigate and there's lots to see and do along the way. Grab a copy of The Milepost or visit TripAdvisor's Alaska forums to get advice. For a sample Alaska family road trip itinerary, take a look at this article on the The Family Travel Network. * Go in the shoulder season. May and September are the least expensive months for Alaska travel. Cruises and tours are often substantially discounted during this time period. Unfortunately, many kids are still in school during these months as well. Many parents are taking their children out of school for family vacations, so money-saving families may wish to consider traveling during these two months if it is an option. * Book early ... or late. Early booking discounts are often available to those who book their Alaska cruise vacations by January to mid-February. Early booking discounts may also apply to some tours as well. Booking early allows you to get the best cabins, itineraries, and dates for travel. In addition, you might be able to get frequent-flier tickets or good prices on air travel. Alternatively, if you book closer to your departure date, you might be able to snag a deal of 50-70% off the brochure price. This is especially true this year, when many Alaska cruises are deeply discounted. Keep in mind, however, that selection is often limited on last-minute deals and you may be left with the less appealing cabins, dates or itineraries. * Use the Web. Search the Internet for deals such as special rates for kids, third & fourth passenger discounts on cruises, hotel and car rental deals, and other money saving offers. This Family Travel Network article will provide you with the strategies and websites that will help save you cash. * Get a TourSaver book. The Great Alaskan TourSaver book contains over 140 coupons providing two-for-one discounts and free offers from tour operators, hotels and merchants. With some advance planning, this travel voucher book can easily save families hundreds or even thousands of dollars on their Alaska vacation. Coupons are included for a wide variety of service such as flightseeing trips, rafting excursions, glacier and wildlife cruises, jetboat rides, railroad trips, fishing trips, hotel accommodations, car rentals, and museum passes. It is important to note that many of the offers are valid only during certain time periods, restrictions apply and space is often limited, so check the dates and caveats before purchasing. Advance reservations when using the TourSaver coupons are highly recommended. The Alaskan TourSaver website is extensive and contains detailed information on each of the coupons and special offers so you can decide whether the savings will be worth the $99.95 price. Just the savings on one flightseeing tour alone, however, could easily justify the cost. See the TourSaver website (www.toursaver.com) for more details. * Ask about association and other group discounts. If you belong to a travel club or association, such as AAA or AARP, make sure to ask if any savings are available to members. In addition, if you are planning an Alaska vacation as part of a family reunion or multigenerational trip, be sure to look into the availability of group or other booking discounts. Carnival Cruise Lines: For more information, call (888) CARNIVAL or visit the company's website at www.carnival.com. Holland America Cruise Line: For more information, call (877) SAIL HAL or visit the company's website at www.hollandamerica.com. Norwegian Cruise Line: For more information, call (866) 625-1166 or visit the company's website at www.ncl.com. If you are considering NCL's freestyle customized private tours, book them at least one month prior to your cruise. Princess Cruise Line: For more information, call (800) PRINCESS or visit the company's website at www.princess.com. Royal Caribbean Cruise Line: For more information, call (866) 562-7625 or visit the company's website at www.royalcaribbean.com. Cruise West: For free brochures and videos, call (888) 851-8133 or visit the company's website at www.cruisewest.com. American Safari Cruises: For a free copy of their catalog and DVD, call (888) 862-8881 or visit the company's website at: www.amsafari.com. Thompson Family Adventures: For more information, call 800-262-6255 or visit the company's website at: www.familyadventures.com. Lindblad Expeditions: For free brochures, call (800) EXPEDITION or visit the company's website at www.expeditions.com. Austin-Lehman Adventures: For a free catalog, call (800) 575-1540 or visit their website at austinlehman.com. Alaska Wildland Adventures: For a catalog, call (800) 334-8730 or visit the company's website at www.alaskawildland.com. Great Alaska Adventure Lodge: For more information, call 800-544-2261 or visit the company's website at www.greatalaska.com. Gray Line of Alaska: Gray Line of Alaska is operated by Holland America Line. Visit Gray Line's website at www.graylinealaska.com or call (888) 452-1737 for more information. Children's rates for tours are available and prices vary depending on the chosen itinerary. Call for information and more details. Copyright 2019. The Beacon Group, Inc. All Rights Reserved.